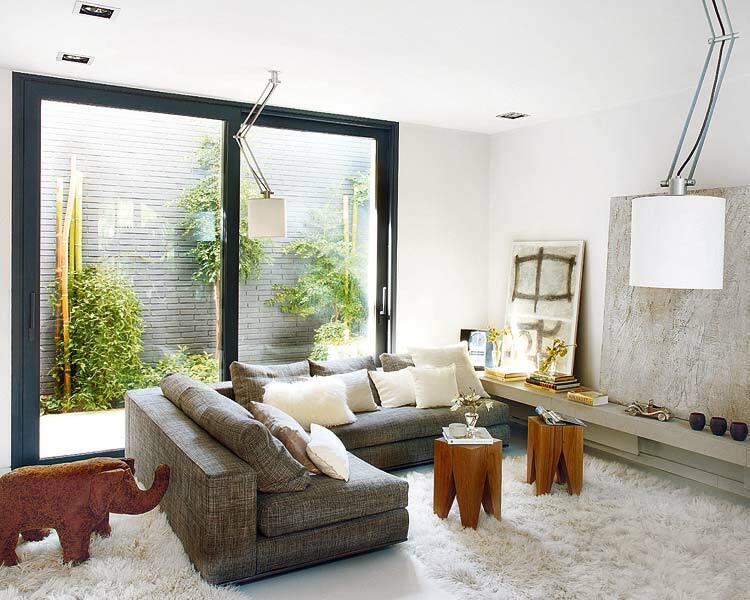 Mix and Chic: Creating a chic and comfortable modern living space using neutrals. Creating a chic and comfortable modern living space using neutrals. Teaming neutral toned modern sectional sofa with neutral toned artwork and built-in wall ledge with light wood chunky stools and a white shaggy rug creates a warm and chic modern living space. 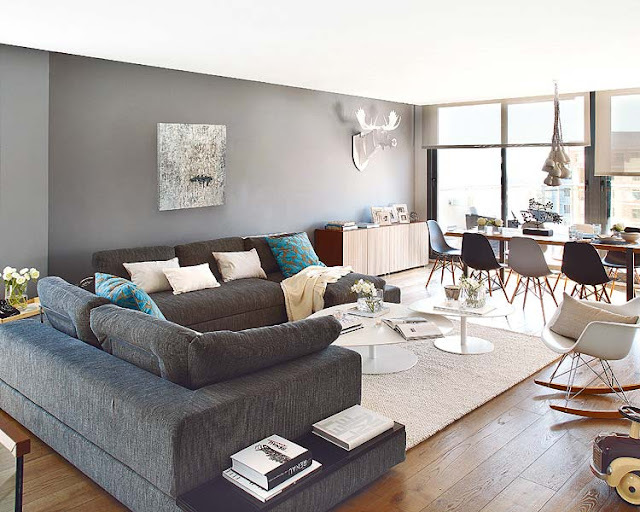 Combining a pair of modern gray sofas, white modern coffee tables and an Eames molded armchair rocker, a beige rug and neutral accessories and carrying the same neutral tones with Eames side chairs to the dining area displays a chic and cohesive modern space. I'm such a fan of neutrals. These rooms are perfect for my taste!